Photographer Sandro Miller is a Chicago based creative that does lots of advertising campaigns, and recently travelled to Papua New Guinea to do a portrait project. Sandro has always been fascinated by these people and wanted to photograph them before Western Civilization changes them too much. “I feel like it’s a dying population and something that in a couple of years will no longer be here.” says Sandro. Jose Torres is an artist & photographer based in Central Texas that started his journey three years ago. He was already and artist, and so he just needed to learn the technical side of photography: which is what he’s been working on. So he went about learning about the settings, lighting etc. He admits that learning how to light drastically improved his imagery. Inspired by Jason Lanier’s Workshops, Miguel Quiles’ Sony alpha tips, and Joshua Cripps’ professional photography tips, he’s been steadily moving forward with his craft. In a recent email to the Phoblographer, I found an image of his involving a grapefruit being dropped into the water. Splash photography is always fun, and so I was curious to know how he did this one. Here’s his story; and be sure to check out his Facebook and Instagram for more. Photographer Tim Conzachi has quite a mesmerizing creative vision when it comes to his more conceptual work involving beauty, strobism, and creativity. While in the military, he got into photography–but after a medical injury he retired in 2010. So he went back to school–but nothing felt as fulfilling to him as photography did. “I had this itch to create and while I was never a great physical artist (I can barely draw a stick figure), my mind was flowing with artistic ideas that I knew I could only create photographically.” Tim states. So in 2015 he made photography his full time business. These days, he shoots weddings, families, portraits and events (with his camera of course!) But he’s also all about commercial and landscape work over in Reno, NV where he lives. 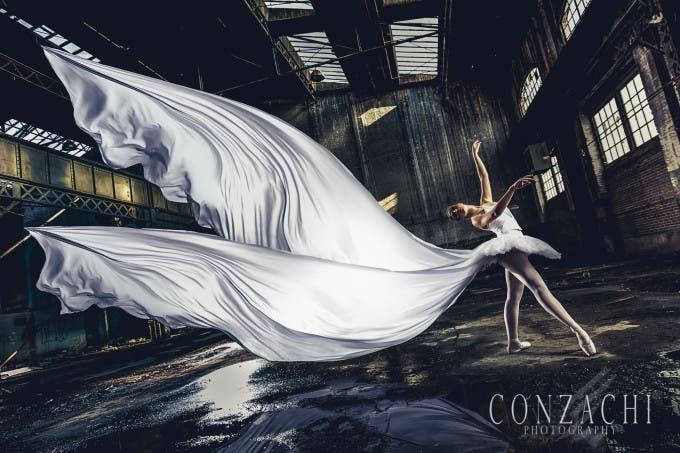 When he emailed the Phoblographer about being featured, his ballet image completely took my breath away. In fact, he’s been working on it for eight years. And here’s how he created one of his favorite images. Ioana was found in Jason Lanier’s Workshop University group, and isn’t very technical, but instead edges more towards capturing and emphasizing beauty while creating your own light. And that’s pretty much what she did with this photo. Aashith Shetty is a fashion advertising photographer based out of India. 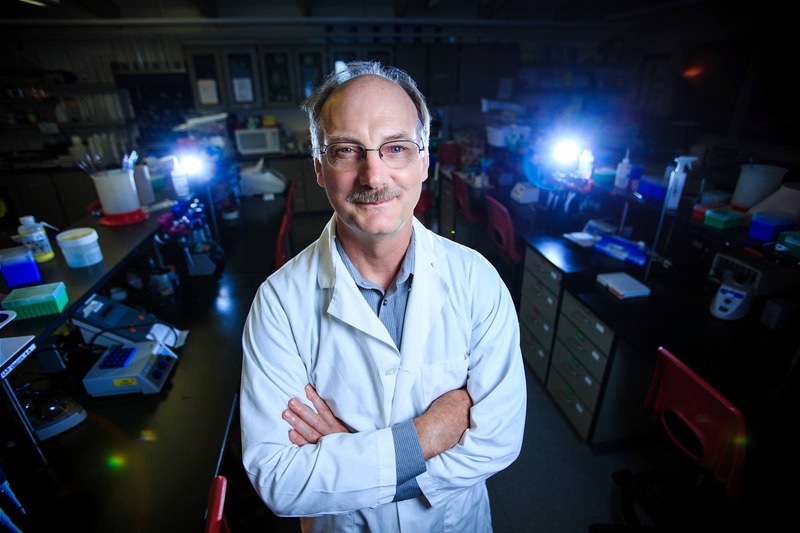 Self taught for the first few years, he came upon David Hobby’s blog which changed the way he looked at light. “After which I assisted Martin Prihoda and Tarunn Solanki for a short while.” he tells the Phoblographer. I found Aashith on Behance, and fell in love with the fact that his work is very much about embracing the idea of a fashion shoot as a full production. It takes creative ingenuity, and a lot of planning. So when he had to deliver a snow scene for a client, he got right to work. 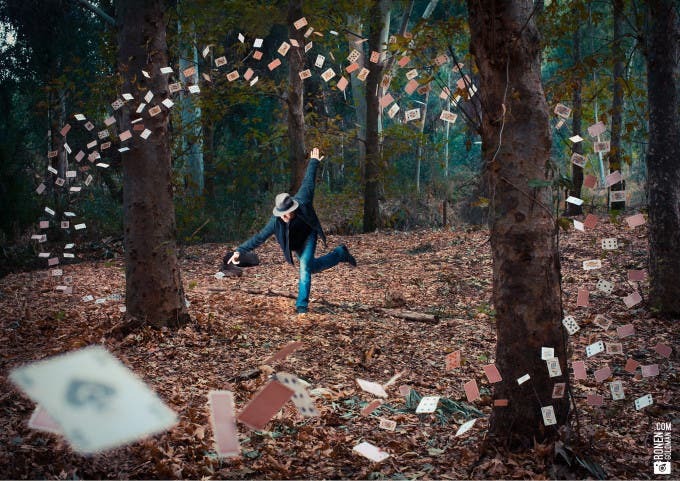 Photographer Aliaume Souchier is a 29 year old French photographer. “I started photography in the late 2000s, first as a hobby while I was studying the environment at the university. After my graduation and theses several years as a hobbyist, I decided to turn my passion into a job and had my first contracts.” he tells us. It’s been his full time job since 2013. What Aliaume really understands is that you always need to do personal projects. That’s exactly what he did with this self portrait. What really makes it is the lighting and specific use of smoke to create the scene. 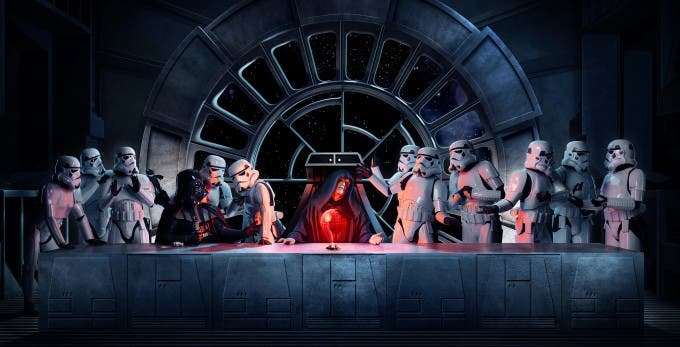 Photographer Steve Brown is a bit Star Wars fan, but he’s also always wanted to create some sort of ode to the famous painting “The Last Supper.” He’s always had a sense of creativity and his years of experience in the field have made him great at sketching, planning and retouching. For his ode to the Last Supper, Steve needed to do lots of concepting, sketching, and getting all the elements he needed just right. Here’s his story. But sure to follow him on Facebook, Twitter, Instagram, and Behance. 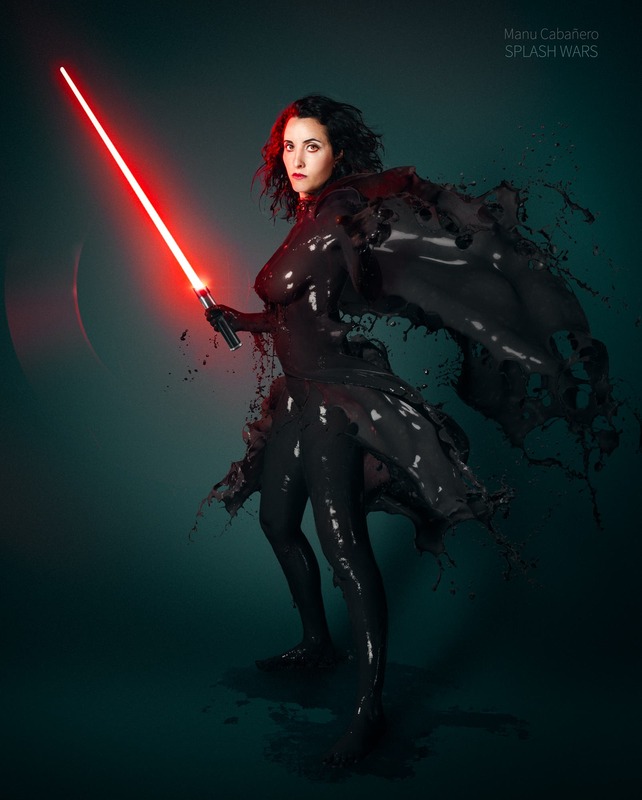 Earlier on, the Phoblographer featured the work of Manu Cabañero, who did the Splash Wars series of images. Manu drew his inspiration from the great Jaroslav Wieczorkiewicz and his Milky Pinups series. The idea: to create clothing on models out of milk–but to make the milk hit in shapes that resemble a specific look. In this case, we’re talking about Star Wars. Manu was kind enough to walk us through his creation of the image that resembles Darth Vader. Photographer Brandon Cawood is behind a series called “When I Grow Up” that showcases children in their future jobs by use of photography and green screen effects. Specifically, it features 5th graders. He found the class because his sister Malisa teaches them and there was a career week at the school where folks would come in and talk about their jobs. 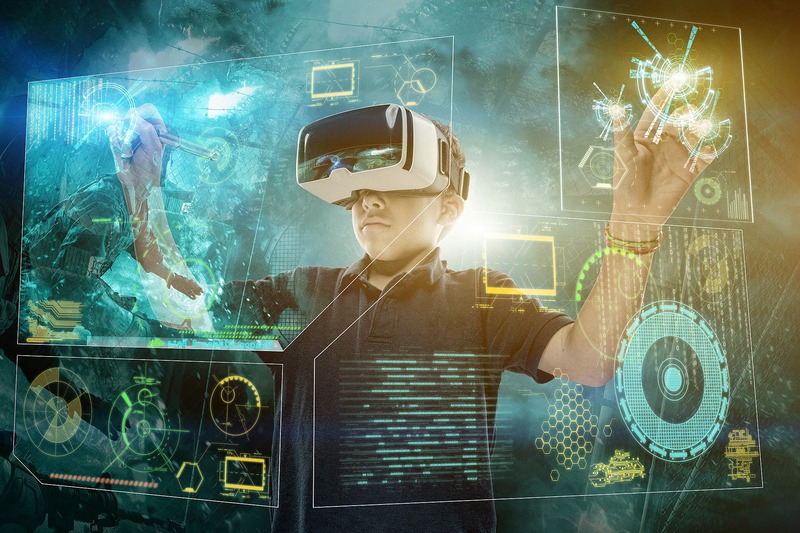 In this specific image, Brandon photographed a student who wants to be a video game designer. His inspiration came from the movies. Photographer Luke Ayers has been shooting for 12 years, and 12 the age of 25, he is a full time pro photographer based in Sydney, Australia. He mostly specializes in high end product photography, but he also loves to shoot portraits with speedlights and strobe just for the fun of it. When he emailed the Phoblographer to show off some of his portrait and strobist work, he showed us an image from his first ever fashion shoot for a haute couture label. What’s even cooler is that Luke never had any formal training. Here’s Luke’s story. Be sure to follow him on Facebook and Twitter. Thiago Lopes Pereira is a Brazilian photographer who sometimes gets paid jobs, but most of the time does personal projects. By day, he’s an engineer in the aircraft industry. “I discovered photography at age 20 in second year of Engineering. Since that day, I studied a lot by myself, learning as much as I could about this recently discovered passion.” says Thiago. When he discovered how to use a strobe flash off camera, he was mesmerized. When we recently asked our readers to show us their strobist photography, Thiago answered the call. Creating the Photograph is an original series where we interview photographers about a photo that they shot and how it was achieved. The results are some knowledge passed on to you. Want to be featured? Email chrisgampat[at]thephoblographer[dot]com. Photographer Kevin Goss-Ross is a self-taught photographer working professionally for the past 7 years. Born in Pretoria, South Africa, and raised on the coast of Kwa-Zulu Natal, he moved to Dublin in 2012. After studying graphic design at the Durban University of Technology and slogging it out in dirty alternative nightclubs and bars shooting music he sold his soul and started doing commercial and editorial work which, much to his dismay, he liked a lot. And that’s how we’re brought to the Thinkhouse X series. 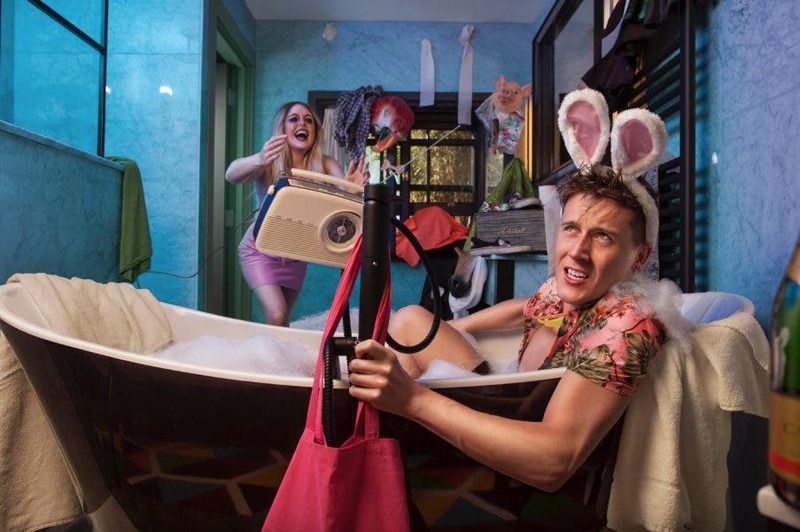 The shoot was done for the agency Thinkhouse in Dublin and this image in particular was inspired by Hunter S. Thompson. For years now, I’ve loved doing pinup style beauty work. Blame my ex-girlfriend–it started when she brought me to a little hole in the wall in the East Village and we saw a Burlesque show together. It was cool, and better yet I amazingly knew many women who were into it and love dressing that way, too. It’s empowering–and good portraiture I’ve always felt makes someone look and feel great about themselves. That’s what I’ve been teaching on this site for years in our tutorials. So when I asked Natalie if I could photograph her for a couple of Zeiss lens reviews I was working on, she said yes. And so I picked up my iPad, loaded up Pinterest, and started looking for inspiration and ideas. Photographer Jeff Rojas is an American Photographer based in New York City. His primary body of work includes Portrait and Fashion Photography, but he’s directed misc. fashion films and commercials. 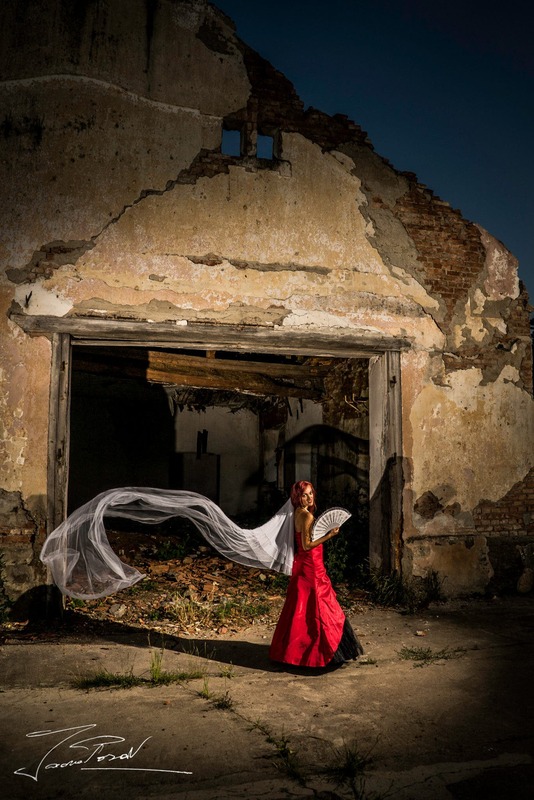 Rojas also frequents as a photography instructor and has taught on various photographic platforms including: CreativeLIVE, WPPI, PhotoPlus Expo, Gulf Photo Plus and APA. Recently on Facebook, he posted a special portrait series. His task was to photograph Lindsay Adler–the famous portrait photographer, fashion photographer and a veteran portrait instructor. Just writing that made me feel the pressure, and we can only imagine the pressure that he was under. Photographer Lindsey Thoeng hails from Amsterdam, but these days she calls Brooklyn, New York her home. Since 2007, she has been combining graphic design work at the UN with the pursuit of the perfect portrait for fashion and lifestyle brands. In recent years, Lindsey has focused on shooting environmental portraits in the streets of New York. It’s earned her appearances such as in Times Square, New York Times, Mashable, Details Magazine, Time Out New York, Town & Country, Behance’s Photography Served and the social channels of Adidas, Uniqlo, United Nations, Levis, and 1Hotels. 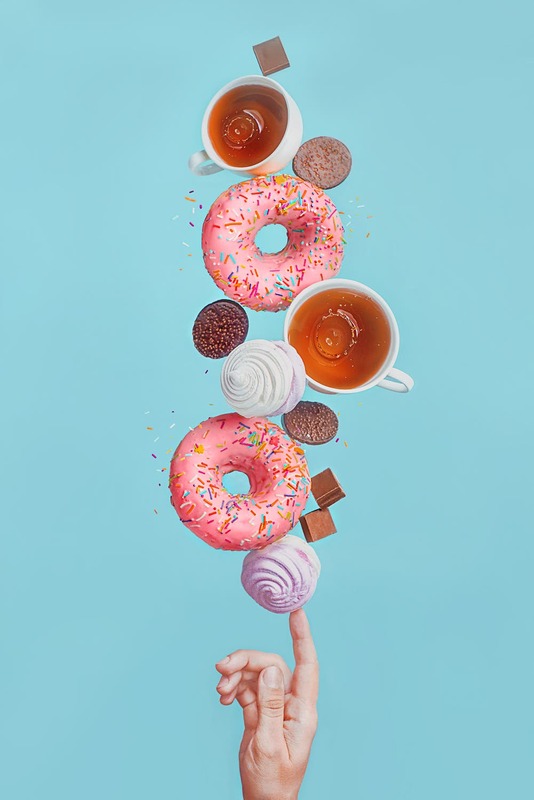 Photographer Dina Belenko had this really cool conceptual idea involving donuts and lots of other breakfast fare. She hails from Khabarovsk, Russia, and is a photographer who specializes in conceptual ideas. 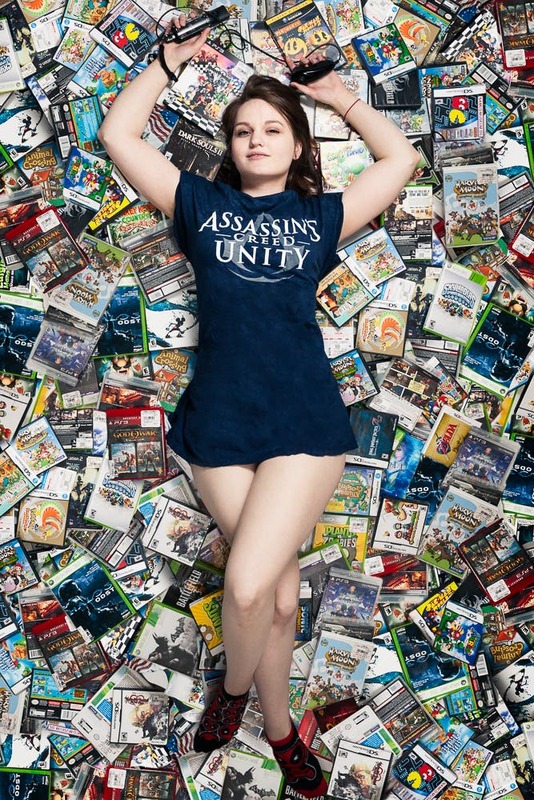 This is apparent not only in her 500px profile previously linked, but also in her Behance profile. Dina tells us that she loves sweets, so she wanted to make something beautiful out of them. This one also satisfied her idea to get into working with unstable objects in an image. See how Dina created the images in her own words after the jump. When photographer Bill Wisser creates food photography that will not only make you hungry, but also make your jaw drop. What many don’t realize is that even though food photography is everywhere, very good food photography is a heck of a lot of work. 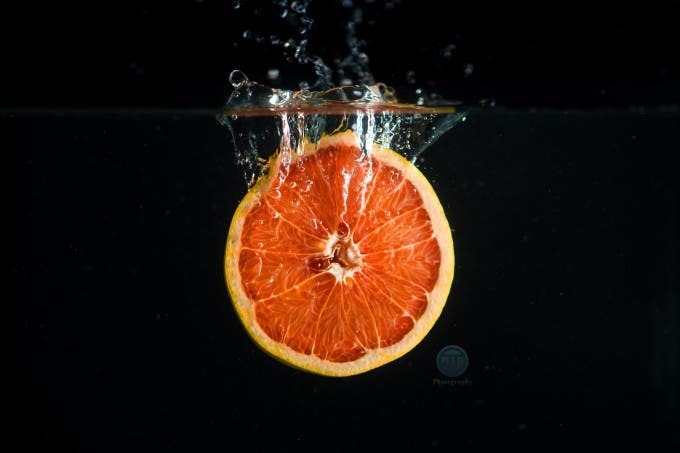 Bill Wisser is an advertising and editorial photographer based in Miami Beach, who in recent years has specialized in photographing food, chefs, restaurants and resorts. His work has gained him the recognition of Daniel Boulud’s db Bistro Moderne, General Foods, Bon Appetit, Miami New Times, the Fisher Island resort and the Greater Miami Convention and Visitors Bureau. In the last five years, he’s photographed more than 270 restaurants. But his award-winning days started many years ago as a photojournalist up here in New York. He did investigative reporting and freelance photographing in Pakistan and India. Bill has kept up with the times and showcases lots of his work on Instagram and Twitter. 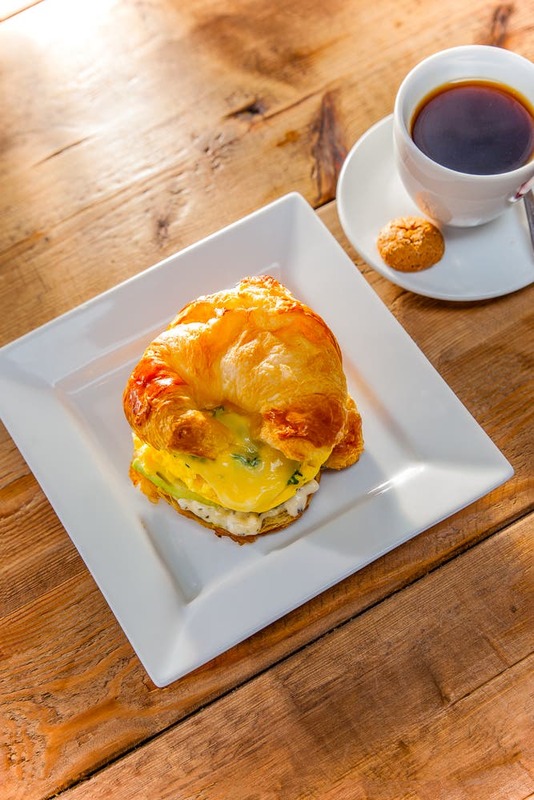 As we looked through his portfolio, he told us about the image called Cheese Course Breakfast and just how complicated the lighting was behind the photo. Photographer Edward Boe is a photographer and cinematographer based in Chicago, IL. When we recently put out a call to our readers about food photography, he answered us with some excellent images that have really intriguing lighting. Ed specializes in macro and food photography and tries to present his clients with a new vision that is unique every time he works. He attributes this to his dual interesting in food and nature in that each allows him to cast light on something that is easily overlooked. 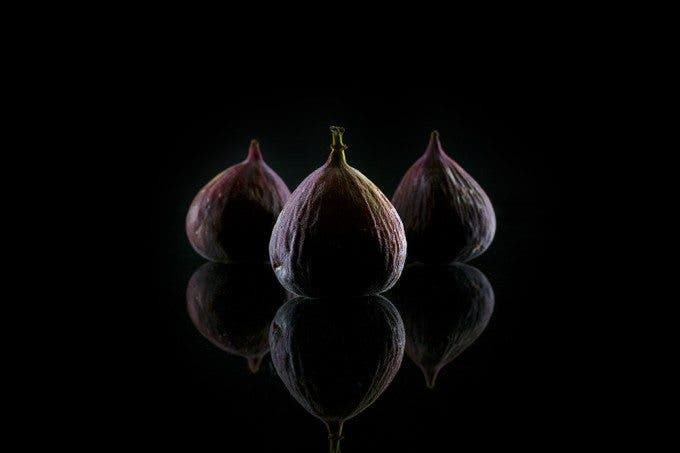 So when he pitched his idea of figs lit in a new and interesting way–we were quite interested to see how he gave them a bit of spotlight. Here’s his story, but also be sure to check him out on Instagram and Flickr. Photographer Danny Alexander is a photographer based in Louisville, Kentucky shooting primarily portraits but will never pass up the opportunity to capture something that catches his eye. He recently finished up a personal project shooting a portrait of a different subject every week for a year and greatly enjoys creating portraits that exhibit some unique or interesting aspect of the individual he’s working with. “I tend to gravitate towards environmental portraiture for this reason,” he said. So when pitching his portfolio to us, we took a look and saw that Danny indeed followed through on his idea for a special and totally new portrait each week. As you browse through, you can see his progression and changing ideas. So we asked him to talk to us a bit about one specific photo.